Though brands are investing heavily in online retail, traditional retail continues to be a core focus, with a demand for shop fit designers and manufacturers growing, albeit reimagined to create an immersive brand experience. 2018 was once again a redefining period for the retail industry. From huge investments by players looking at international markets to M&A, downsizing of physical stores from traditional players to investing in physical stores by ecommerce players, the retail industry continued to witness significant changes. 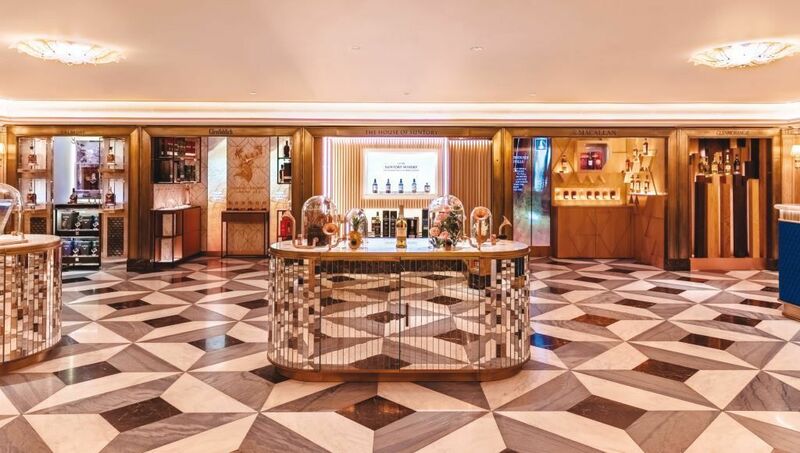 The Valentine flagship store at Lower Parel, Mumbai is a Smart Shop sore combining the excitement of Physical Retail with the efficiency of Digital Technology to seamlessly integrate their offline stores with their strong online presence. The store a dedicated heaven for intimate apparel and lounge wear was designed to bring out the delicate designs of the brands intimate wear. 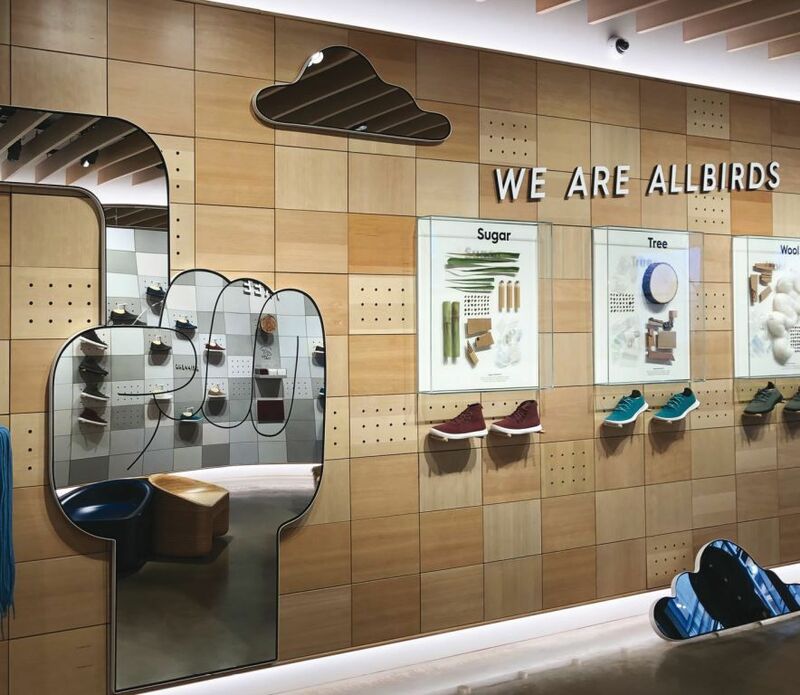 We Are Allbirds. New York, US. Partners & Spade. Insync Shop Fittings, Mumbai created a space that ensured women were comfortable shopping over extended periods of time by softening the lighting and overall mood of the store but while maintaining a laser focus on the merchandise and bring out the softness and eclectic designs and colours of the fabrics. The end result a graceful form with the function of a modular Shop Fitting solution integrating LED light without any visual or any visible wires. Brands continue to focus on integrating online and off-line shopping and the concept of ‘Experiential shopping centres’ will continue to gain importance. As customer shopping experiences, engagement and purpose of the physical store become more crucial, brands will regularly invest in store design, interiors, shop fits and new concepts in order to differentiate themselves from competitors. A good fit-out raises a brand’s profile, efficacy and creates a positive perception about the brand. Hence, there is a growth opportunity for the shopfitting industry. Adding to this, the trend of solo entrepreneurs entering the market and small scale traditional retailers who wish to revamp their business rely on professional shopfitters for retail store design, floor planning, shop fi ts, etc. which will also give a boost to the shopfitting industry. Being an allied industry of the retail sector, the shop fitting industry grows hand-in-hand with the retail industry. As brands continue to invest in visual merchandising and store design, they rely on experienced and quality focused shop-f t manufacturers to partner with them. The role of shop fitters cannot be understated in helping the retail brands build their identity, differentiate them from competitors and attract footfall in the store by their innovative designs and store concepts. Karl McKeever, founder and managing director of Visual Thinking believes that “Retailers need to face up to some uncomfortable truths. When you look at what customers really want from stores, it comes down to this: easy and enjoyable to shop, good availability, clean and tidy, and attentive, meaningful customer service. These are the fundamental basics – the cornerstone of successful retailing – or as it used to be known, and perhaps unfashionably today as ‘good shop-keeping’. These are at the baseline expectations and heart of the retail experience, not the ‘experiential’. He continues, “Too many senior retail managers have been distracted by the lure of online riches and dazzled by the promise of a ‘new dawn’ from technology companies with their big marketing budgets. As a result, many stores have been starved of the real investment they need, with many once great retailers now hollow versions of themselves. For a retailer with hundreds of stores within its estate, one new flagship store (however glorious) will not turn around its fortunes. Large capex investments in extensive store refi t programs are increasingly the exception rather than the rule. More balance in investment decision making to support ailing store estates is required, it’s little wonder that many shoppers have turned away to online instead. It’s a paradox and the unintended consequence of prioritising online investment over the physical store estate for too many brands in recent years”. “Shop fitting is an important investment for retail brands and when done right can translate to improved business and performance. That said, For the majority of mainstream retailers, margins remain very tight – they’re feeling the pressure to strip out costs from the business and pare down just about everything they can. Yes they still need to be innovative but they must do so by thinking creatively – often finding ways to work smarter with what they already have rather than wholesale re-engineering”. Overall, the outlook for the shop fitting industry is positive albeit significantly different to that of five years ago, as lives of consumers have changed irredeemably and it is time retailers followed suit. In exploring the ‘Death of Minimalism’, Mckeever believes, “It’s a trend in retail that has been taking shape for a while, but now it seems that the ‘death of minimalism’ is becoming a seriously big thing. Right now, retail design and visual merchandising is adopting a much more theatrical approach – one that rejects minimalism in favour of a much more pronounced and decorative look and feel. Bold and in your face, they are highly individualised to the brand, embracing rich patterns and defiantly carrying a love it or hate it aesthetic. Even if you’re not a fan of the result, its ability to clearly differentiate one brand from another cannot be argued. Wine & Spirits Section, Harrods, London, UK. Shopfitters: Umdasch The Store Makers. For most big chain retailers, wanting to buy into this latest trend will be one thing. Applying it will be quite another. 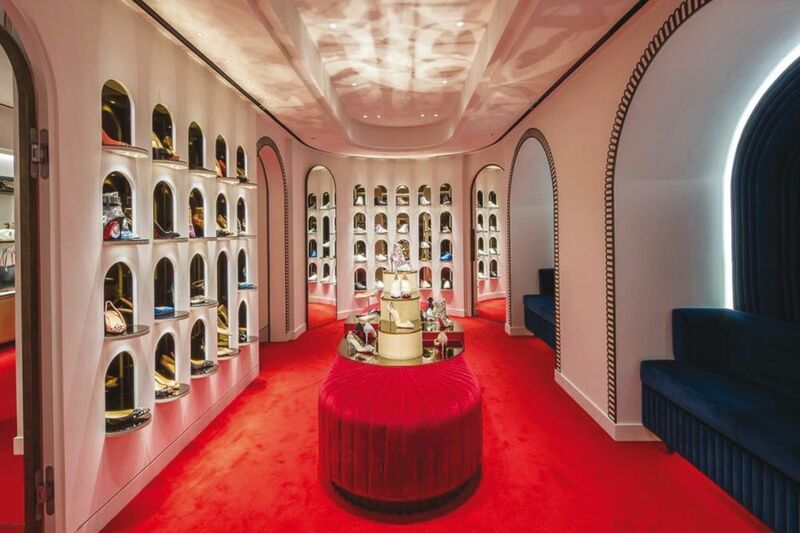 Gucci has a limited number of stores internationally, and they can spend a lot of money to bring in a big team to pull off these kinds of store executions and ensure consistency across the brand. Implementing such schemes becomes a much bigger and more difficult job to achieve in the world of mass retail. From the physical cost, to the huge internal change that is often required to deliver, and deliver it well. One of the toughest challenges facing retailers is how to replicate the personalisation that is possible online in the physical retail environment. Companies like Apple have told us great technology is not gimmicky and is as invisible as possible, Apple is also at the forefront of reinventing the idea of the physical store, along with other innovative retailers such as cycling brand Rapha. Some of the best retailers are very much recognising the purpose of the store has to change and become a genuine destination, a place to discover, to play, to work and to eat, and do all kind of things, and not just buy. Apple is reimaging its stores as town squares, whereas Rapha’s clubhouses” are meeting places for cycling fans that include a café and an extensive programme of events alongside the usual merchandise. The design of stores will change. The layout of city centres will be critical, moving from fulfilment to a leisure experience. Nike’s new “shop-in-shop” retail concept ‘Unlaced’ overhauled the male-orientated sneakers market when it launched last spring, with a focus on serving women through choice, innovation and new, localised product curation. The retail concept, features “unprecedented access to styling and customisation services, like she’s never had before”, says a spokeswoman for the brand. It includes exclusive limited editions, customisation bars and unisex sizing on models, which previously were aimed at men. The retail concept features local product curations by influential creatives and stylists from New York, Paris, London and Shanghai. This follows successful curator-led retail partnerships, such as the Kim and Nordstrom boutique collaboration. The brand is creating bespoke identities with each new shop-in-shop concept, which is reflected both on and offline. “Nike Unlaced is a big opportunity to serve our female consumer better,” adds the spokeswoman. 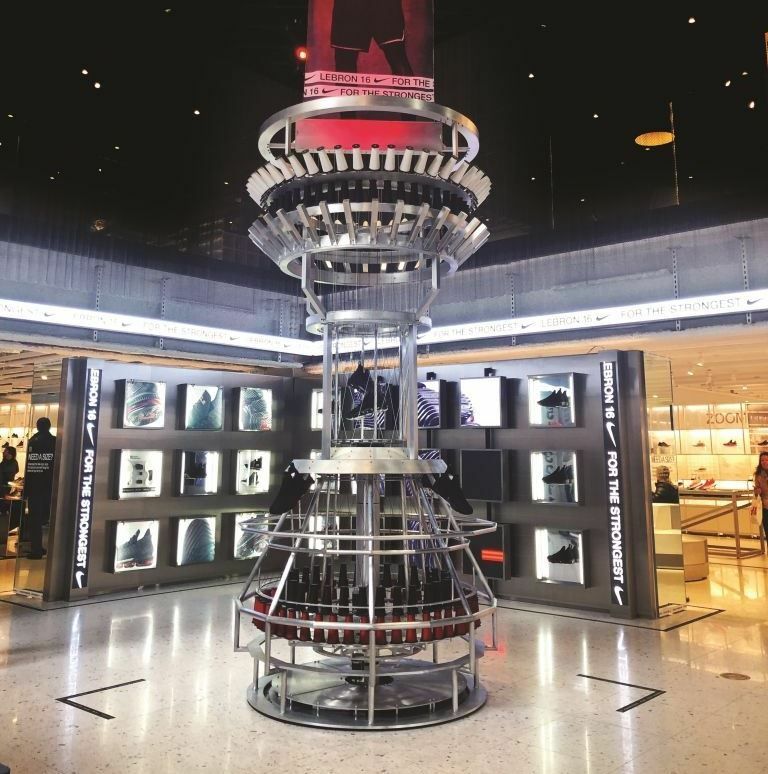 Initially launched on Nike.com, the concept was rolled out to physical retail destinations globally last summer.